We offer complete installation of residential windows to make your home and living areas complete. 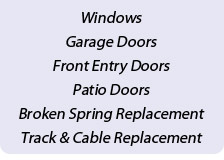 RB Door Systems Ltd. provides complete installation of garage doors and garage door openers for your home. We provide complete installation of front entry doors to make you feel welcome when you come home. 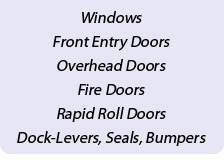 RB Door Systems Ltd. offers complete installation of patio doors for your comfortable living needs.